Shintaro Ishihara gave few details Thursday on how many candidates his party would field in the upcoming elections. TOKYO — Shintaro Ishihara, the firebrand governor of Tokyo whose obsession with a set of disputed islands prompted Japan’s latest spat with China, declared Thursday that he was quitting local politics to start a national party, a move that could escalate the territorial dispute and shift allegiances in Japan’s soon-to-be-called elections. 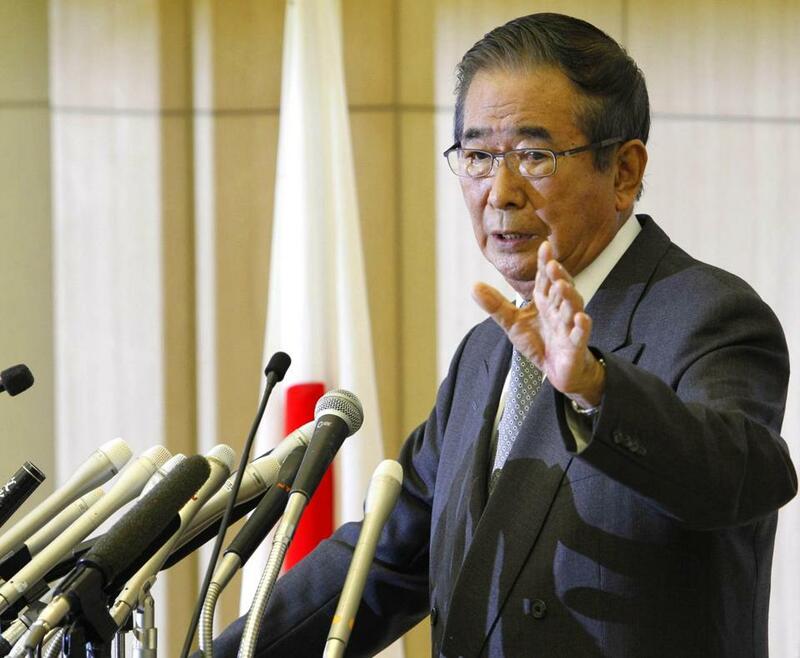 Ishihara, an 80-year-old nationalist politician, who has said that Japan should develop nuclear weapons and abandon its pacifist constitution, has scarce hope of building a party big enough to form a government. But with polls suggesting no clear winner in elections that must be called by August, even a small upstart could use a swing position to punch above its weight and to wreak havoc with foreign policy. Ishihara said at a news conference in Tokyo that he intended to join forces with two other small nationalist parties — including one recently formed by the populist mayor of Osaka, Toru Hashimoto — to challenge what he characterized as feckless politicking by the governing Democratic Party and its main opposition, the Liberal Democratic Party. Ishihara said he had submitted his resignation Thursday, though it was expected to take up to a week for it to be officially processed. His replacement will be elected in a citywide ballot that must be called within 50 days, and Tokyo’s three vice governors will run the city in the meantime, according to news reports. It is unclear how much of a force Ishihara can hope to become in national elections for Parliament’s powerful lower house, which must be called by August. Ishihara offered few details Thursday on his plans, including what his new party would be called or how many candidates it would field. Nor did he outline how closely he would associate with Hashimoto and his own new party, the Japan Restoration Association. Though both are nationalists, they differ on major issues like nuclear policy: Ishihara is a staunch supporter of nuclear power; Hashimoto has been far more cautious. The public broadcaster NHK said another nationalist party with just five lawmakers, the Sunrise Party of Japan, had agreed to join forces with Ishihara, with the aging politician as the new leader.